One pig wants potatoes . . . then so does his brother . . . his sister makes it three pigs, and Papa makes four. Then there are the neighbors! Now all the piggies want potatoes, and soon it?s one big potato party! Anika and Christopher Denise have teamed up to create this most charming, classic counting book, full of picture-perfect pigs and pleasing rhyme. 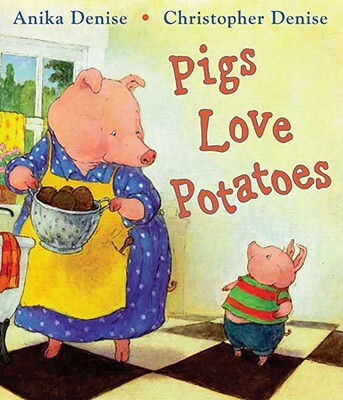 Children will love Pigs Love Potatoes as much as, well, pigs love potatoes. And as you?ll see, that?s quite a bit! Christopher Denise lives in Providence, Rhode Island.